Use 1421 - 84002 points to purchase this product! Trade Chem use the finest quality ingredients to create a product which is of a high standard. 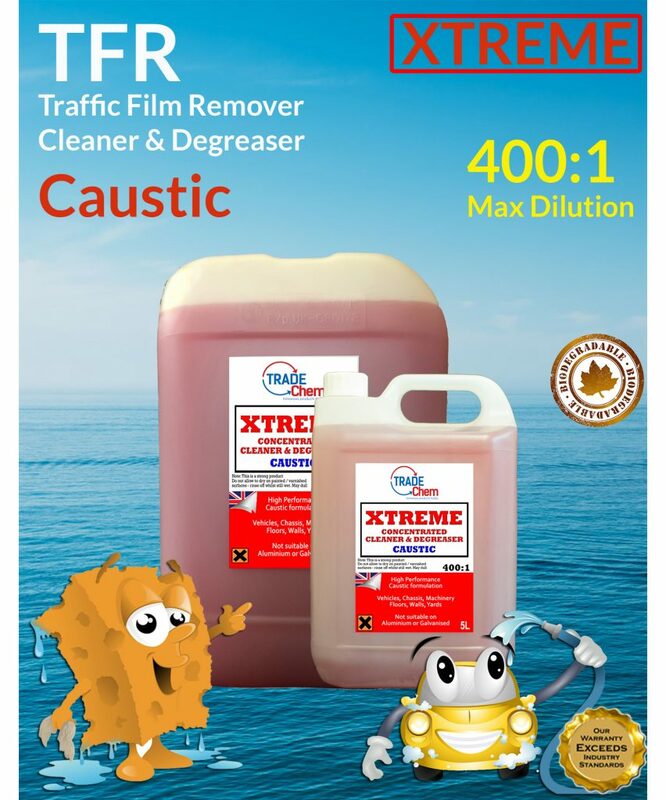 Traffic film remover is a special blend of chemicals which creates a rich foam, to creep into the crevices of the contaminant and expand, helping lift the traffic film and dirt away from the surface, allowing you to agitate and pressure wash away with ease. Completely Non caustic and biodegradable, safe on all surfaces paintwork, and your land! Our TFR is designed to be used manually or through a power washer and remain highly effective in both Hot or Cold and even hard water. The result? a highly clean finish, thanks to unique caustic formula giving you that showroom clean. as easy as 1,2,3 to get the best results!